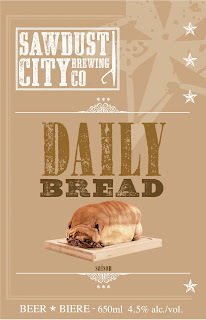 OCB Beer Week 2012 has come and gone, but it won't soon be forgotten. It's left it's mark in our collective consciousness. In previous years I never found that this week really lived up to the hype. Sure there have always been a lot of events, but they never seemed to be as big as the advertising suggested. Maybe I just didn't go to enough events? Maybe I'm just went to the wrong ones? Maybe I'm just plain wrong? Either way, this year there just seemed to be a lot more weight behind everything. The craft beer market seems to have reached a critical mass and it's really starting to show. By all accounts, the events seemed to be well attended and well put together. Events seemed to have the solid advertising and promotion behind them and leading up to events, there seemed to be lots of excitement and anticipation. The Twitters and Facebooks seemed to be a glow up right before an event. Every night people seemed to just want to go out and try something new. And we here at the Sawdust City Brewing Co, are just down right happy to be involved in any way. No we aren't a part of the OCB quite yet, but we're new and we're very small. So it just hasn't made sense for us to join yet. But still, we were able to hop on the wave and be a part of a few events through out the week. As I outlined in the last post, we had a lot going on. Collaborations, Tap Takeovers, Beer Festivals...it was a big week for us. And it didn't disappoint. Starting with the Antique Car Show in Gravenhurst last Saturday (that's a photo up top there), we couldn't have asked for a better summer day. 26C and sunny, it was a great opportunity for Sawdust City to showoff to our local crowd. The days started off great and we went through a lot of beer early on. It tailed off near the end, but as far as first time events go (it was the first time they'd ever had beer at this event) it was a sure-fire winner. Thanks to everyone at the Gravenhurst Chamber of Commerce for asking us to take part in this event. We had a great time and look forward to working with you all again in the future. That was one event, now how about the collaboration I was talking about. 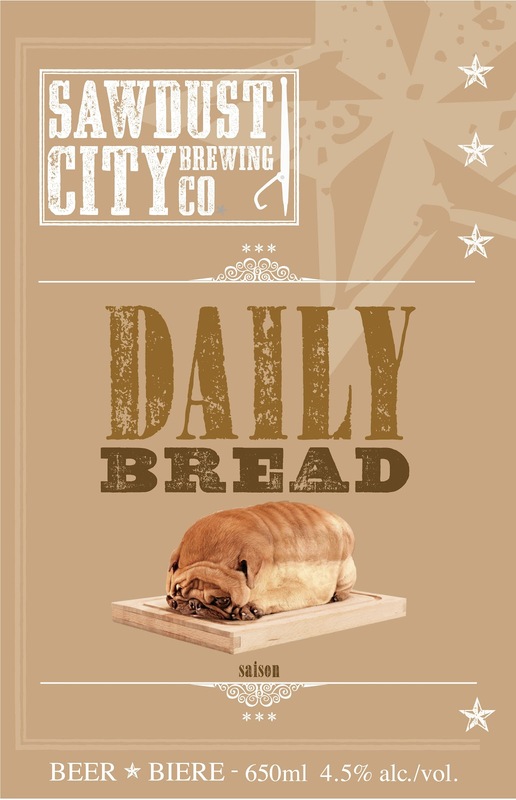 Brewed earlier in the month, specifically for OCB Beer Week, Daily Bread Saison, was a collaboration we did with the Black Oak and Cheshire Valley (sorry, this is an early version of the poster with neither breweries logo included). A Belgian Table Sasion, this beer was definitely brewed to be a session beer. At only 4.5% and with a gentle, refreshing and thin body, this ale will be perfect for the summer. Other breweries around Ontario also did collaboration brews for OCB Beer Week as well, with many of them being showcased at events through out the province. It was a pleasure to work with the guys at Black Oak again and to work with Paul Dickey from Cheshire Valley for the first time. Next up we had the "Tap Take Over" at WVRST Beer and Sausage Hall in downtown Toronto. The good folks at WVRST gave us 8 taps to show off our wares. And show off we did. We gathered all the beer that we could muster and did our best to impress. The crowd was fantastic and the bar was packed all night long. For our first ever tap take over this was an amazing night. It also marked the 1 year anniversary of our first ever pilot brew at the Niagara College. So in 1 year we went from a single pilot batch to having 8 beers on tap and a great beer bar in downtown Toronto...not too shabby. Thanks so much to the WVRST for all the support they've given us throughout this first year. If it weren't for awesome places like this, we'd have no where to serve our beer! Next up was Session 99, the big festival to wrap up the week. In it's third year of existence, Session 99 promised to be bigger and better than ever before...and bigger and better it was! Boasting an all-in-one $50 all you can eat and drink ticket, the revelers came out like never before. Almost 1,500 people over the two Sessions. 99 Sudbury was a packed both inside and outside. I was inside, and with so many people trying our beer it was difficult to get outside, even for a minute. So unfortunately I have no outside shots...just this one from my booth. It was great to have the chance to serve beer and to0 talk directly to everyone. So many people were genuinely interested in trying new beer and discovering new flavours, it was amazing just to be there. Over the two sessions we served almost 800 samples, that ain't bad. Getting the chance to get our beer into that many different hands is unbelievable. The staff and crew at Session 99 did a great job and this is will definitely be a premiere event in Toronto for years to come.